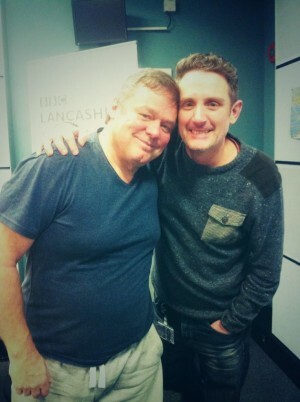 BBC Radio Lancashire secured an exclusive first interview with Ted Robbins this morning, the comedian's first since collapsing on stage during the opening night of the Phoenix Nights Live show in January. Robbins, who plays Den Perry in the cult Peter Kay comedy, was rushed to hospital and the performance was cancelled. Speaking on the Graham Liver Breakfast Show, he said: "I did a couple of gags and then I remember a very peaceful calm feeling and thinking ‘I’ll just have a little sit down for a minute’. But apparently I didn’t. Robbins revealed he will be returning to his Sunday morning programme on the station next Sunday. He added: “It’s not a weight loss programme I’d recommend but I’ve lost a couple of stones in weight. I do intend to help the Heart Foundation. I’ve been encouraged to get walking again. “I want to do some sponsored walks to help raise awareness of CPR and defibrillators and how important that is. But also to give something back. Some people don’t make it but I did and I’m eternally grateful.